The 15th Annual Latin Festival was held at Waterfront Park in Beacon, New York on Sunday, July 11, 2010. 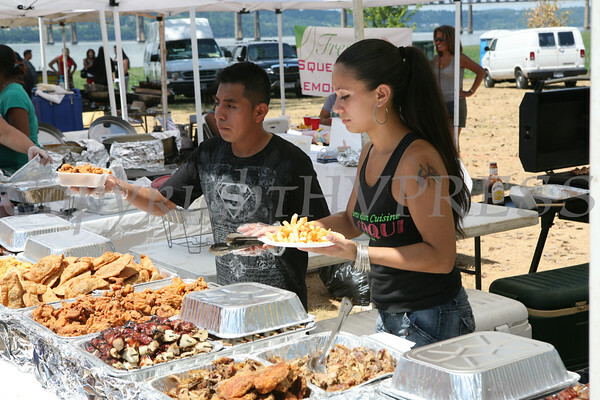 Ivy Quintero serves up a traditional Latin plate of food at the 15th Annual Latin American Festival held in Beacon, New York on Sunday, July 11, 2010 at Riverfront Park. Hudson Valley Press/CHUCK STEWART, JR.